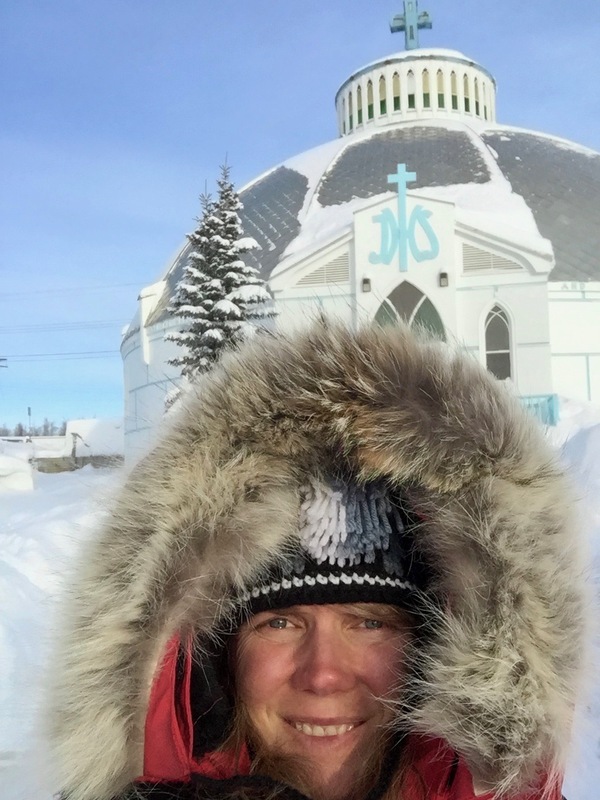 I realized that we don’t talk much about our northern adventures and for those that haven’t been here – you should come. 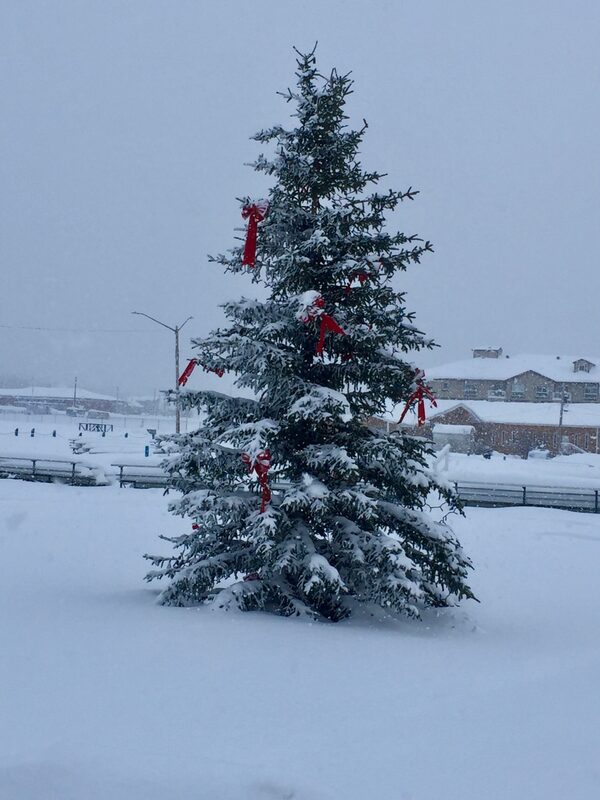 Everyone should visit the north at least once. The views are breathtaking and the people are resilient, creative and fun. 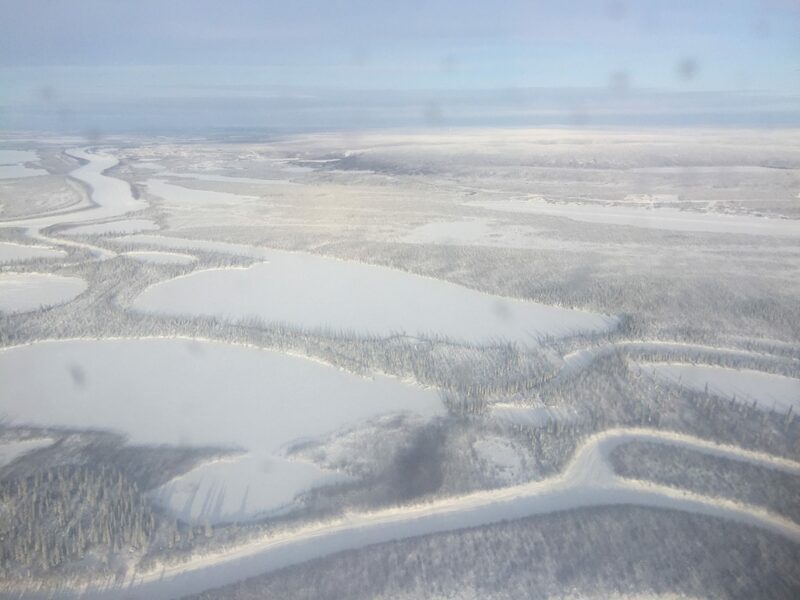 Last week I headed up north of the Arctic Circle to spend 3 days in Inuvik, NWT for work. 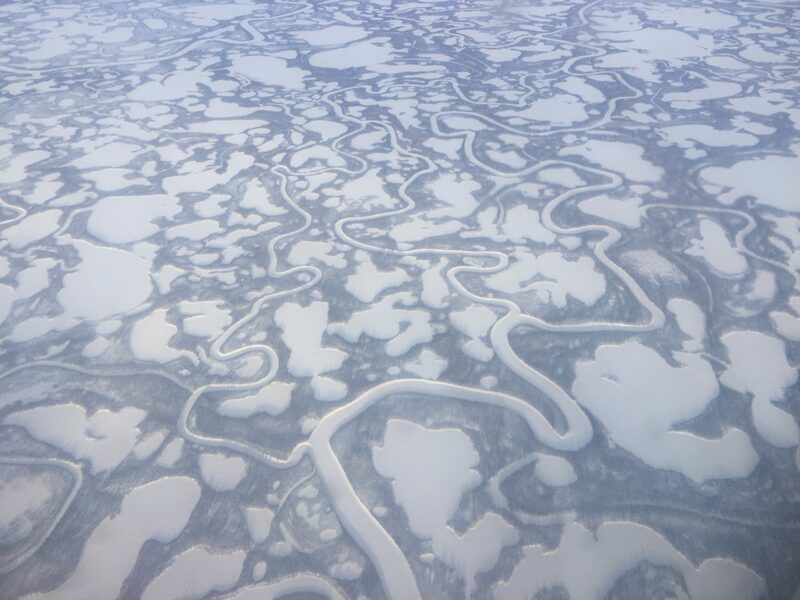 Flying in the north is an adventure in itself. 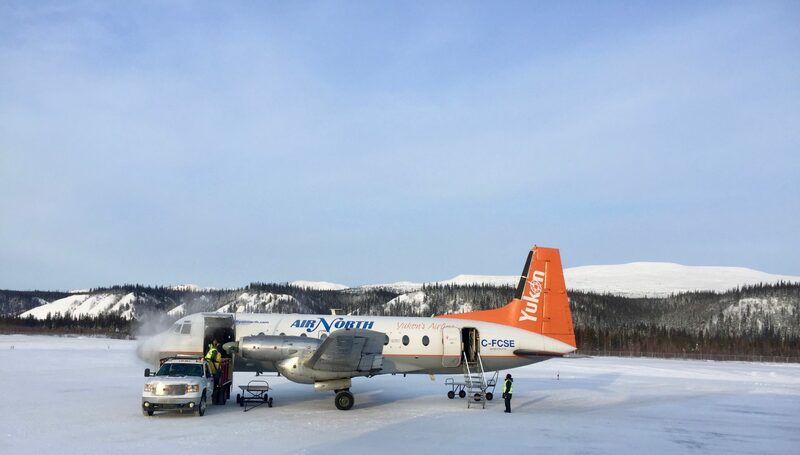 My flight from Whitehorse stopped in Dawson City and Old Crow before hitting Inuvik – the milk run approach makes flying affordable, which is really important when you live so far away from most things. One of the neat things about this flight path is how low you fly and how you really get to see the terrain change. 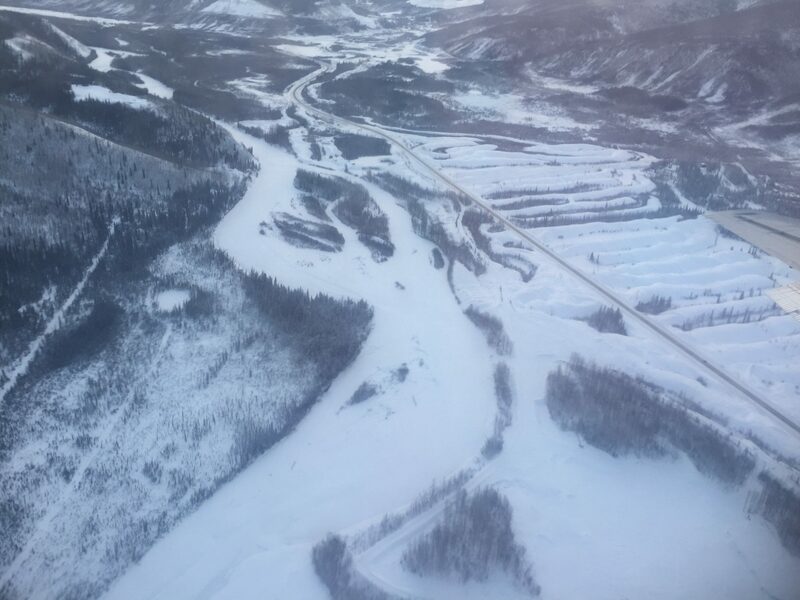 The Whitehorse to Dawson City leg is fairly mountainous, with a few rivers and lakes splattered about. 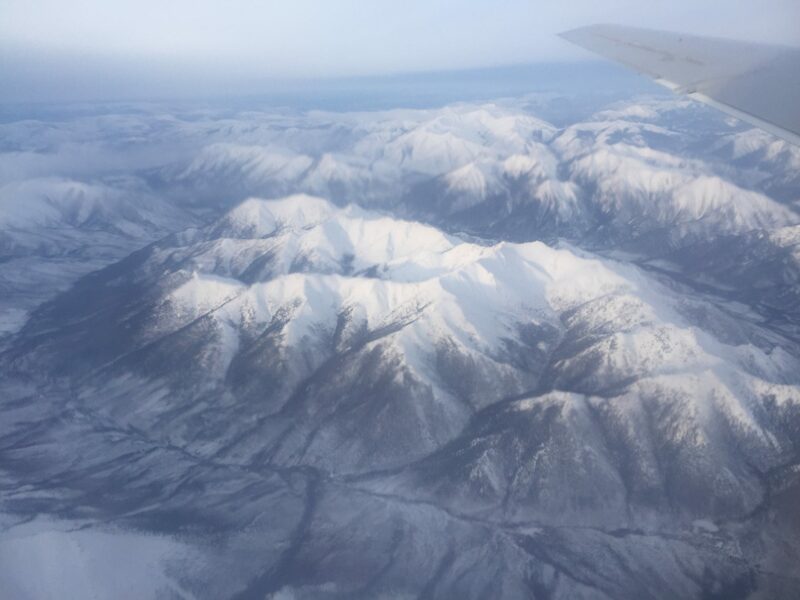 Flying into Dawson is tricky at certain times of year due to high levels of fog that gather in the river valley and the need to flight between two mountains to get to the airport. 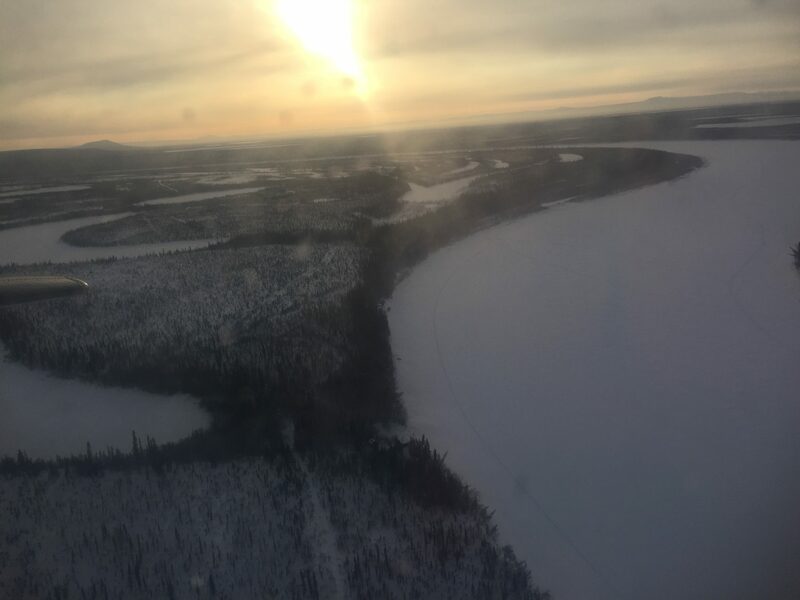 On the left you can see the frozen Yukon River and the rows of white on the right are all the frozen tailing piles from placer mining. 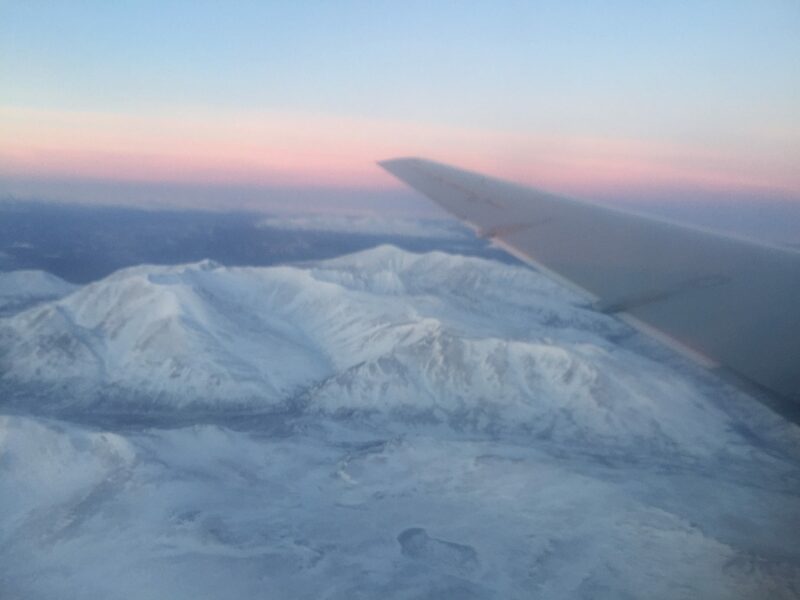 Flying further north you continue to see mountains until all of a sudden they just stop and you see a landscape full of lakes and rivers with a little land in between. 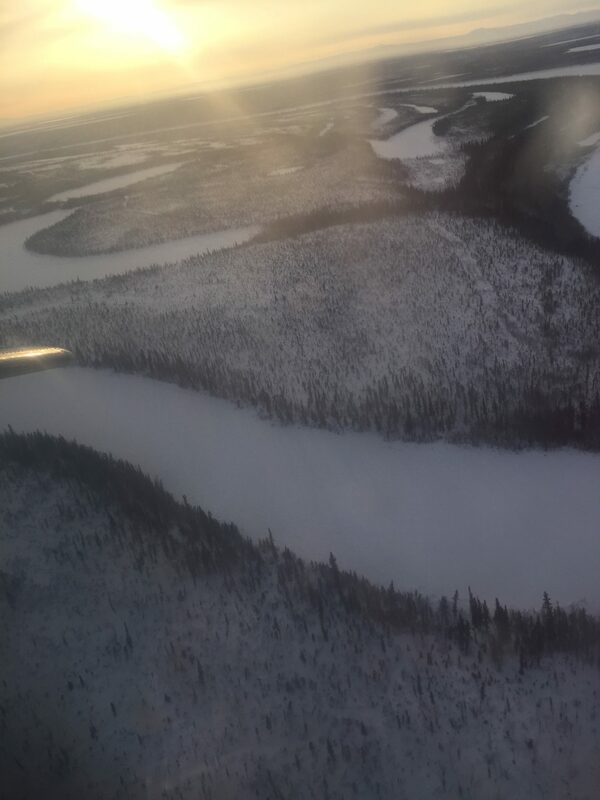 Old Crow is a fly in community of approximately 245 people – that means there is no road access and the only way in or out is by airplane. 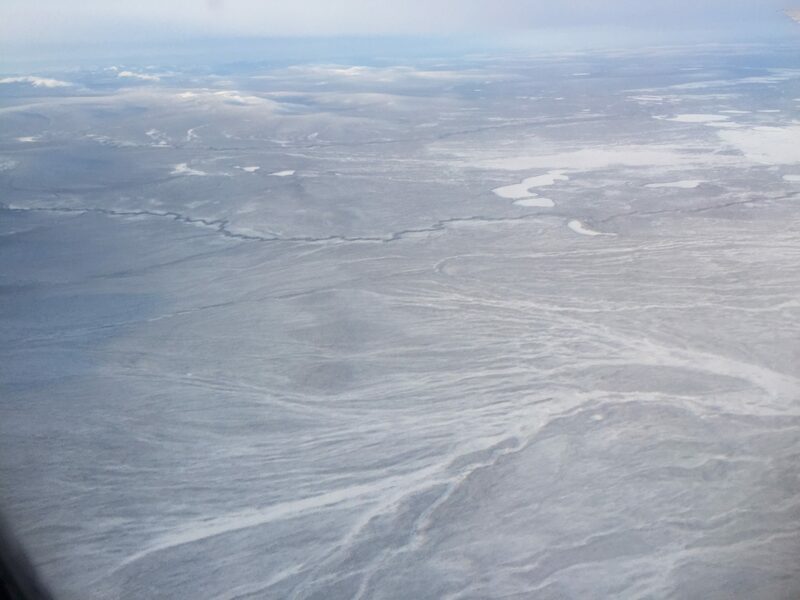 Every few years there is an ice road built in the winter time to allow them to bring in heavy machinery and goods for construction projects. This is their access in and out of the community… and the airport is a place of community gatherings – sending people off with celebration and welcoming people home with just as much joy. 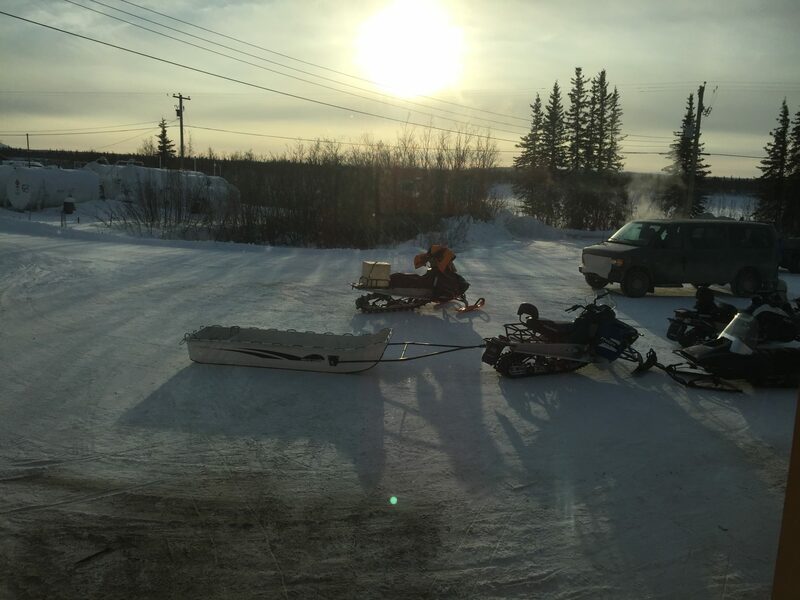 How many airports do you know where you can pick up a passenger with your snowmobile and throw their bags in your toboggan? 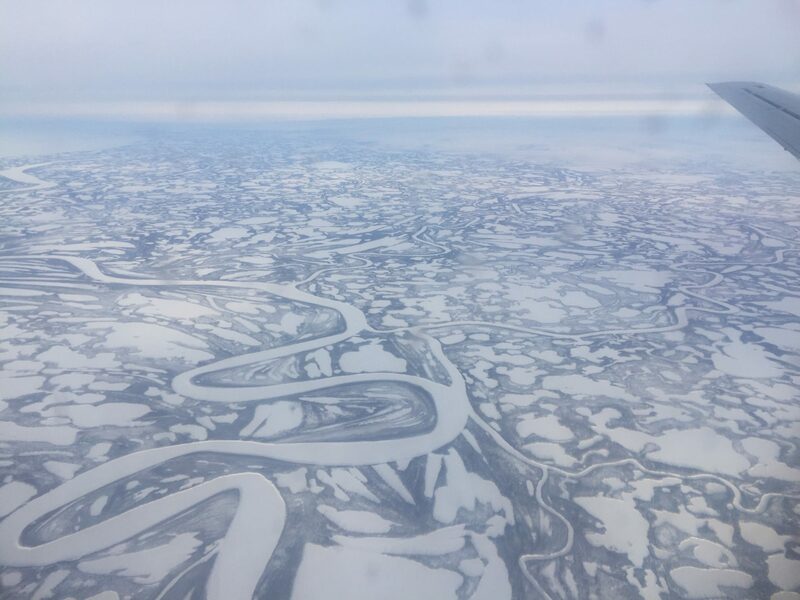 Between Old Crow and Inuvik you continue to see the delta come to life – water every where and little land bridges connecting it. In the winter time the rivers become major roads for people to actually drive on to get out to fishing and hunting camps. 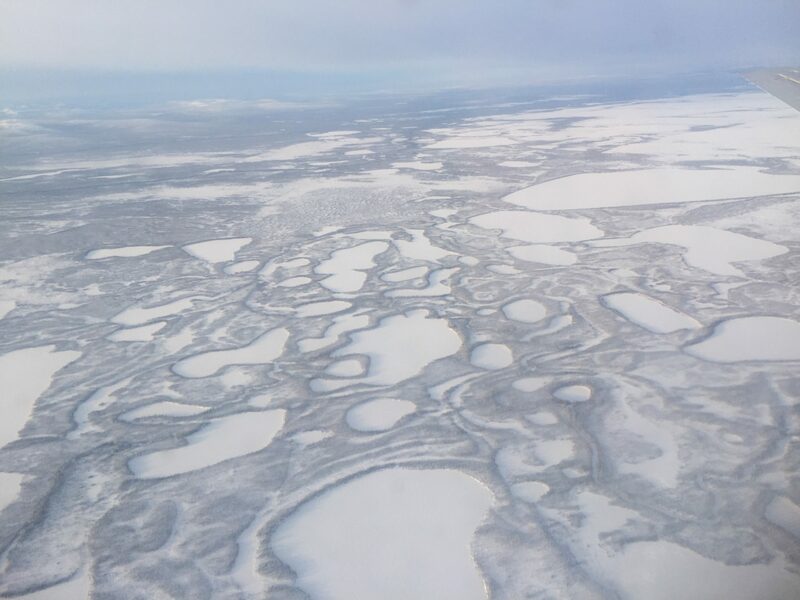 Inuvik is a town of approximately 3,500 people. It has been through many boom/bust cycles with oil and gas development and is currently in one of it’s lows. It has a great spirit and the sense of community is impressive – many people come for a job and then stay for the lifestyle. 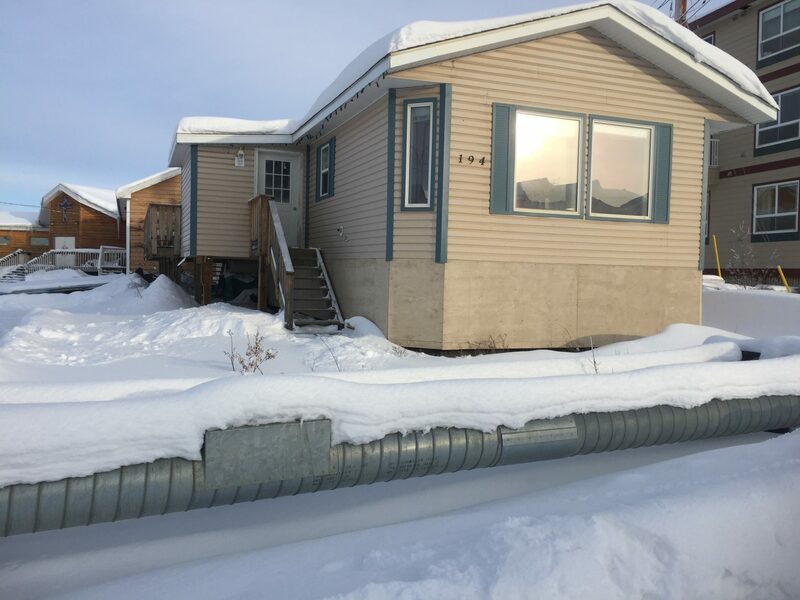 Because of all of the permafrost, Inuvik has above ground utility corridors which are especially odd to see in the summer time. They look like a whole matrix of round and square pipes running through the town. 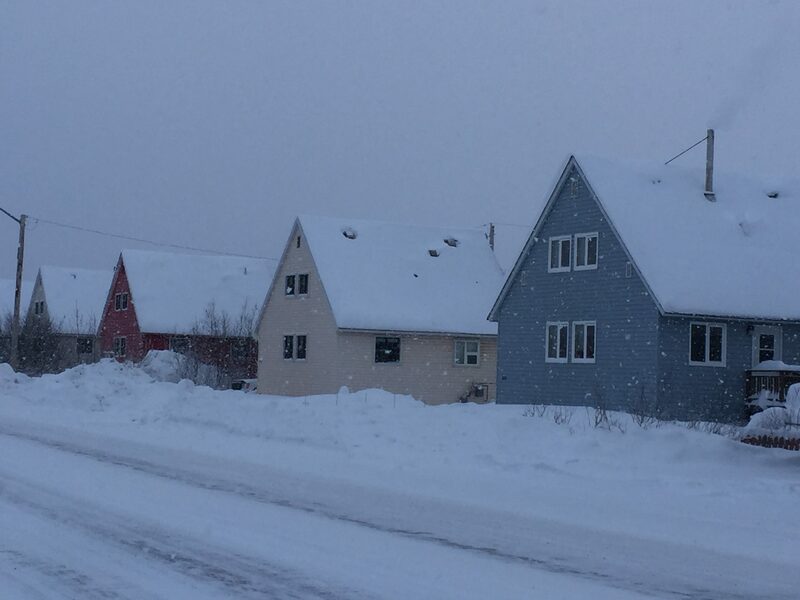 Similar to housing on the east coast, Inuvik has incorporate colour to help keep things cheery during the very dark winter – they go months without full daylight! 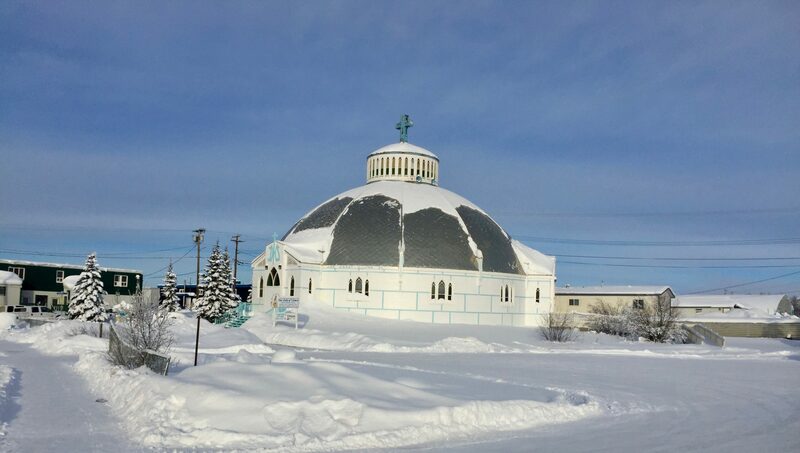 There are many interesting buildings in Inuvik but the most popular is definitely the local Catholic Church – also known as the Igloo Church. 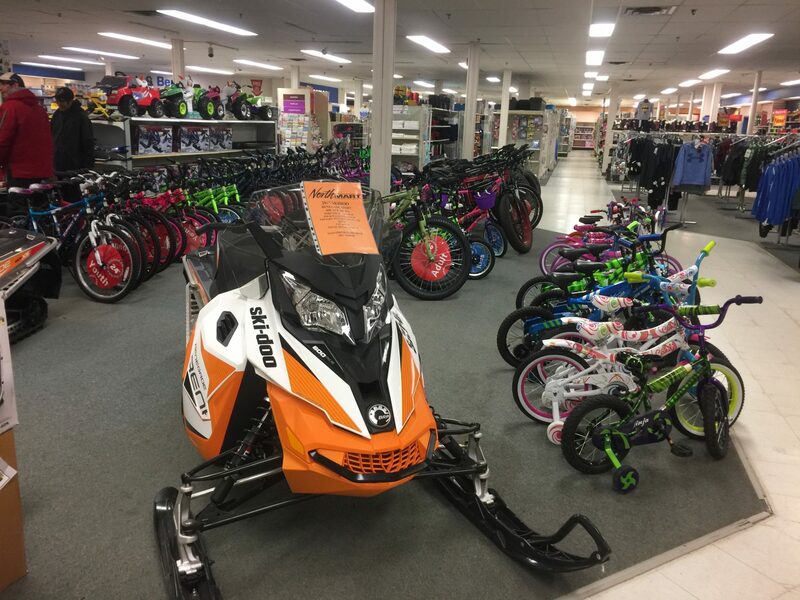 Most Northern towns in the NWT and Nunavut have a Northmart – it is really the central hub for the town and provides groceries, take out food (pizza hut & KFC), clothing, electronics, toys, and of course bikes and snowmobiles! I can’t imagine all of this under one roof in any southern town or city. 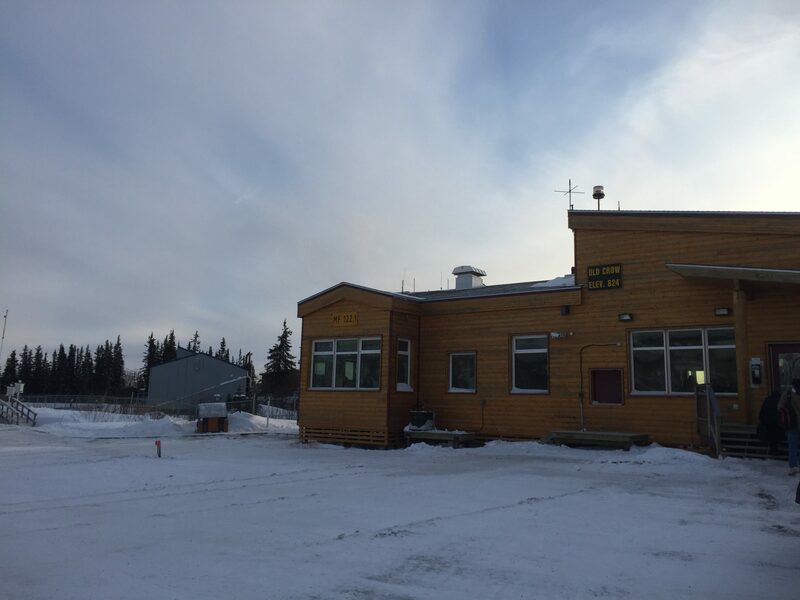 Similar to Old Crow, the Inuvik airport is a social place – the flights are all turn arounds (i.e. the people flying out are waiting for the plane to arrive so they can depart) and the arrivals all mingle with the departures. Oh – I guess I didn’t mention that there is no security clearance on this flight, no luggage X-ray, just show up 30 minutes before to get your boarding pass and then hang out and talk to people until it’s time to go. You can even chat with people that have just arrived until the boarding agent walks around the airport checking with each person to see if they are heading out. They will even go outside the terminal to round up everyone that’s out for a smoke to tell them they need to board! 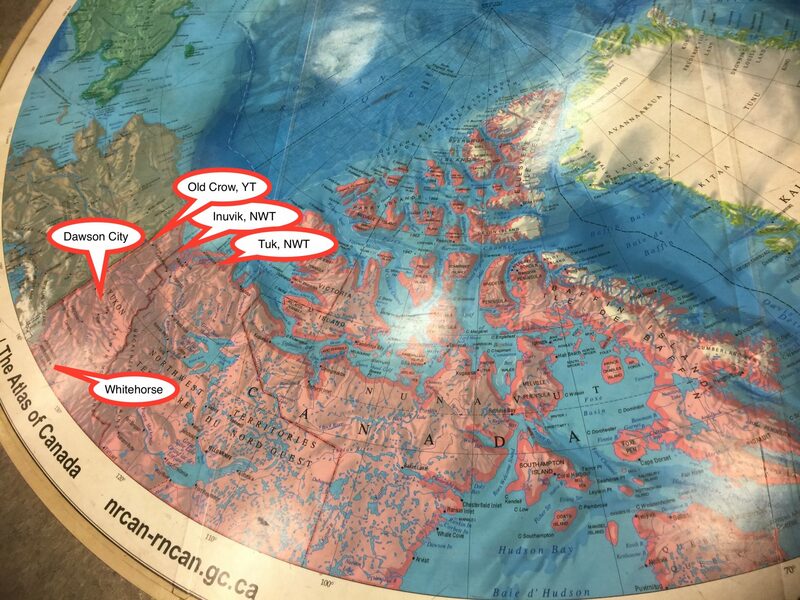 I’ve been to Inuvik a number of times. 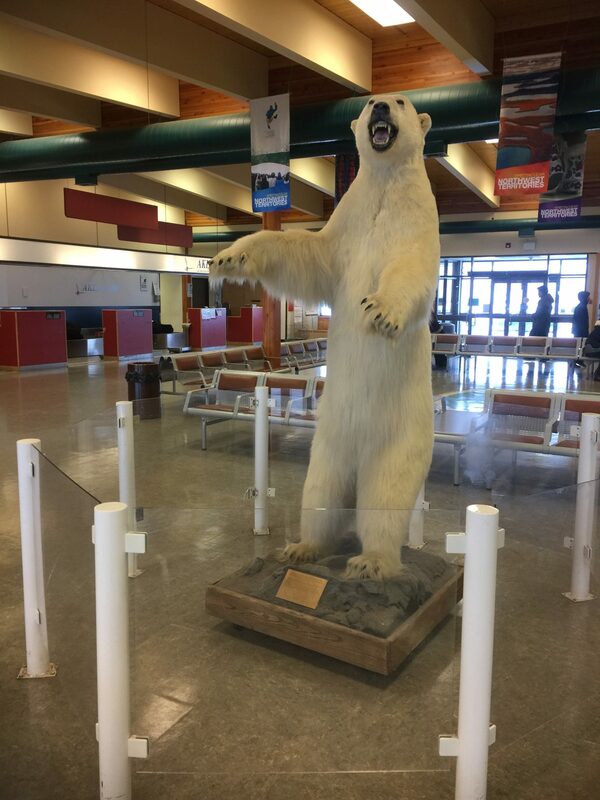 I definitely prefer summer over winter as when the wind gets blowing it is COLD… If you go, be sure to check out the craft store at the Inuvialuit building – amazing pieces straight from the artists with much lower mark ups! I have been waiting for the North tour – Thank you it was worth waiting for.